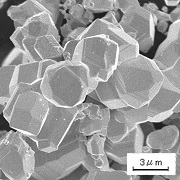 High-purity Products｜JAPAN NEW METALS CO., LTD.
Japan New Metals produces high-qualty, high-purity tungsten with over 99.999 percent (5N) through complete quality control management, which has lower electrcal resistivity with thermal and chemical stable properties. Sputtering target material for wiring, electrodes in semiconductor. （*2）Tungsten Powder is a restricted item by Japan's export control regulation.